Due to the changes in the visa issuance and passport procurement, the procedure of obtaining the passport as well as the visa is not an easy task. Without the submission of the appropriate documents and identity proofs, one cannot get receive the passport and visa from the authorities. You can resolve this issue by getting in touch with us and availing the service. We are headquartered in Solapur (Maharashtra, India) and offer this service at a minimal charge. 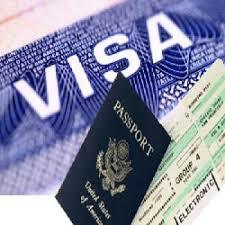 You can contact us and avail the service and receive the passport and visa within a shorter period of time.